The new Afghan government offered cabinet positions to members of the Taliban, but the posts were refused. It has emerged that Afghan President Ashraf Ghani has offered the Taliban posts in the new Afghan government, which they have rejected. This news comes amid expectations that President Ghani will soon announce the shape of his cabinet. Afghanistan has been without a cabinet for almost three months, a state of affairs widely criticized by various civil society groups and legislators in Afghanistan, as well as the Taliban. President Ghani’s failure to form a cabinet has been partly due to his disagreements with his chief executive officer (a prime minister-esque role), Abdullah Abdullah. Abdullah, who was the runner-up in Afghanistan’s recent election, and Ghani often have very different ideas on the types of policies and individuals needed for Afghanistan. This has led to challenges in forming a cabinet. However, Ghani has promised to announce a cabinet within a week, as the continuation of the current state of affairs would have been intolerable. A source close to Ghani has argued that the government should be drawn “not just from the two teams, but from all parties in Afghanistan.” In this spirit, Ghani’s team offered the Taliban three cabinet positions. Mullah Zaeef, the former Taliban ambassador to Pakistan, Wakil Muttawakil, the former Taliban foreign minister, and Ghairat Baheer, a close relative of warlord Gulbuddin Hekmatyar are the three individuals who were offered positions in the Ghani cabinet. The posts earmarked for them included the Ministry of Rural Affairs, the borders, and the Ministry of Hajj and Religious Affairs. Ghani also considered appointing Taliban governors to three southern provinces: Nirmuz, Kandahar, and Helmand. While the Afghan government has not yet commented on this news, sources close to the Taliban indicate that the Taliban turned down the offer because of the signing of security arrangements which would allow American and other foreign soldiers to remain in Afghanistan. Other Taliban demands for joining the government include changes to the constitution and immunity from prosecution. Any move by the Taliban to join the government would have been controversial, especially from the perspective of Afghanistan’s western allies. It is still unclear as to whether the Taliban are fully committed to talks and normalization or are simply using talks as a tactic to give them some legitimacy while stalling for time. However, growing distrust of Pakistan among the Afghan Taliban and Chinese efforts at brokering talks between the Taliban and the Afghan government suggest that the Taliban are seriously interested in normalization if the right conditions are met. 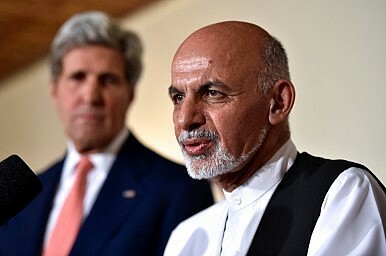 Such a move would ultimately stabilize Afghanistan, however distasteful it may seem to the country’s western partners.